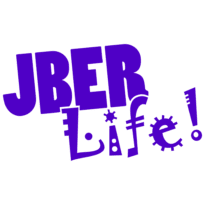 Buckner Fitness Center Pool | JBER Life! 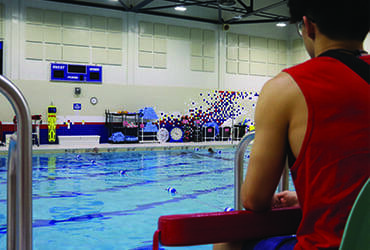 The Buckner Fitness Center Pool is a 6 Lane, 25-yard indoor swimming pool with a three-meter platform, one-meter diving board, water slide, and hot tub! We host a variety of exciting special events throughout the year! 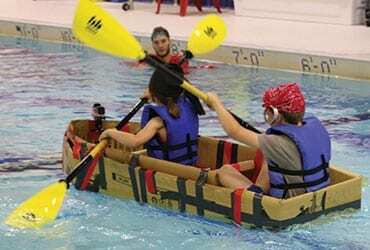 Intramural Swim Meets #1 & #2 (April & October), Intramural Inner Tube Water Polo (Feb-May), Tug-of-Oar Competition (March), 24 Hour Swim Challenge (Feb), Build-A-Boat Competition (July), and the Pumpkin Splash (Oct). 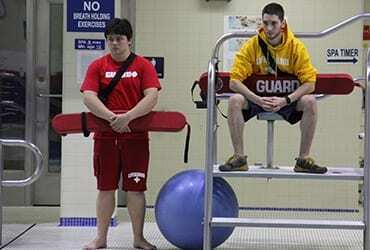 Pool parties are available at the Buckner Fitness Center Pool on Saturdays from 4:30 – 5:30 p.m. or 4:30 p.m. – 6:30 p.m. Please call 907-384-1369 to reserve your date! Our FREE triathlon training geared towards those looking to improve stroke & overall conditioning in the water. All skill levels are welcomed. 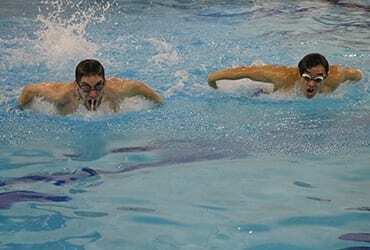 The purpose of the swim test to determine ability and stamina by swimming 25 yards using front crawl or breast stroke, tread water for 1 minute and exit the pool without using a ladder. 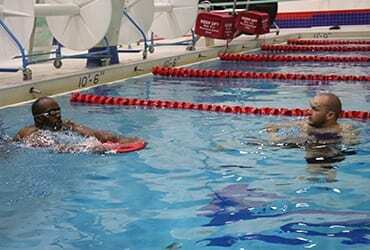 A swim test is required for youth ages 6-15. Our courses are offered once per quarter. Upon successful completion of the 28 hour course students will be issued a 2 year American Red Cross certification in Lifeguarding, First Aid, CPR/AED. Offered to current Active Duty Service Members are free of charge. Classes are limited to 5 students. Pre-registration is required. 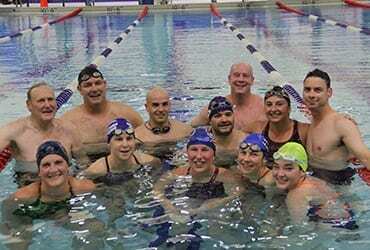 The Master’s Swim team is a Free program open to authorized users of the facility who are ages 18 & older. Practices are held at the Fitness Pool on Mondays, Wednesdays, and Fridays from 0530-0630hrs. Those who are interested in joining can contact the Buckner Master’s Coach, Mimi Cook, at 907-696-0809. 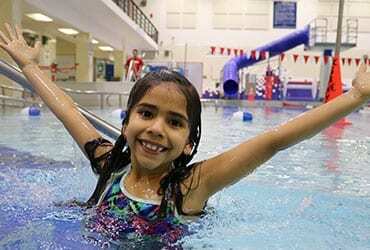 Family Open Swim is a recreational swim time is an opportunity for families to play together in an open pool setting. The use of fitness equipment is prohibited during open swim. Monday & Wednesday from 6:30 – 8 p.m. Check out the Polar Paradise Pool! For weekly swim hours, please call 384-1302.